Cozy and Cute! 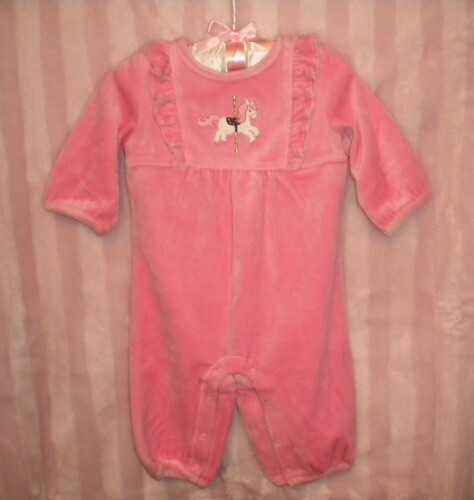 One piece Gymboree Outfit with ruffled detail and carousel horse on front. 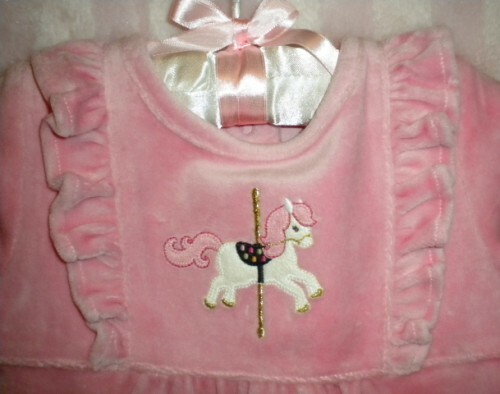 Snaps at neckline in back and at legs for ease when changing!